Crisp. Chewy. Gooey. Dense. Chocolatey. Nutty. 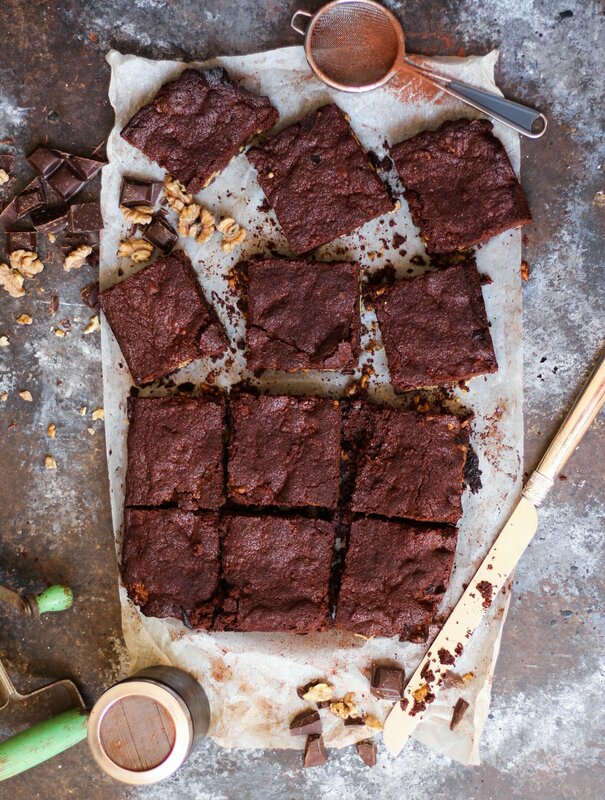 I wholeheartedly promise this is the WORLD’S BEST Chocolate Brownie recipe. Trust me. 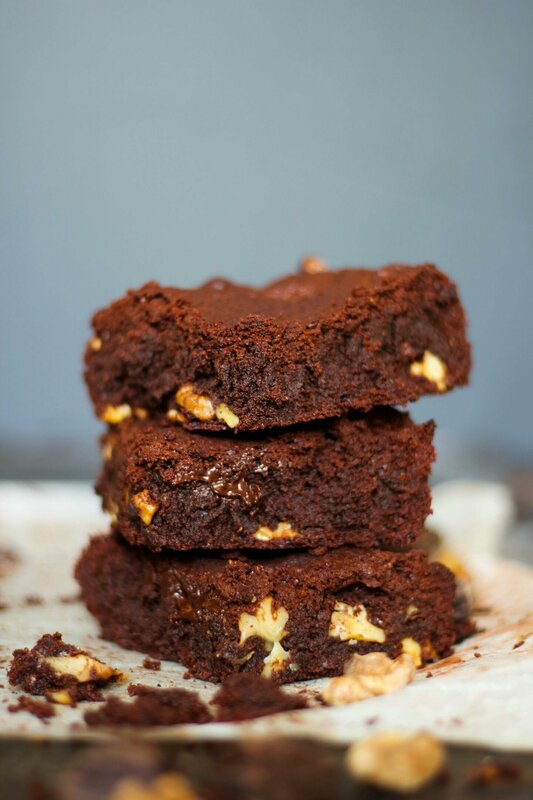 The ultimate brownie must have the right amount of fudginess, a crisp exterior and moist centre and the perfect ratio of chopped nuts to cake. This gluten free recipe ticks all those boxes. The ultimate sin is overcooking your brownies so proceed with caution. You don’t want a dry brownie, remember a moist centre is the gold standard. If you prefer a nut free version simply omit the nuts or load your brownie with extra milk, dark or white chocolate chunks. You can also throw in some dried fruit like sour cherries or fresh raspberries for a fruity twist. Pretty much anything works here so get creative and enjoy. Combine butter and chocolate in heatproof bowl and melt in the microwave. Combine sugar, flour, cacao and baking powder in a mixing bowl. Add melted chocolate mixture and beat to combine. Add eggs and walnuts and beat to combine. Pour mix into a lined 30cm rectangular baking tray and bake for 30 minutes. Cool in tray then transfer to a chopping board and slice into squares. Dust with cacao and serve with dollop cream. Combine butter and chocolate in mixing bowl and melt 50C/5 min/speed 2. Add sugar, flour, cacao and baking powder. Mix 20 sec/speed 5. Add eggs and walnuts. Mix 10 sec/speed 5. I have your book so for recipes requiring chocolate what is the best 70%dark cooking chocolate to use for the gluten free recipes. My 14 yo daughter is coeliac. I like to use the Nestle Plaistowe 70% dark cooking chocolate or Lindt 70% cocoa dark cooking chocolate you can find them at any supermarket. Enjoy! I would love to make an eggless version, any tips? Have used this recipe on its original form many times and just love it!! Glad you love my gluten free chocolate brownie recipe. You could try the following to replace the eggs – mix 2 tablespoons ground chia seed or flax seed with 6 tablespoons of water. Refrigerate for 15 min for a sticky egg substitute. Let me know how you go!